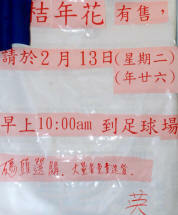 A Chinese-only note above Ah-Ying's fruits and flowers stall (outside the electrical shop) alerted me to the yearly Chin. 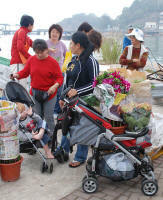 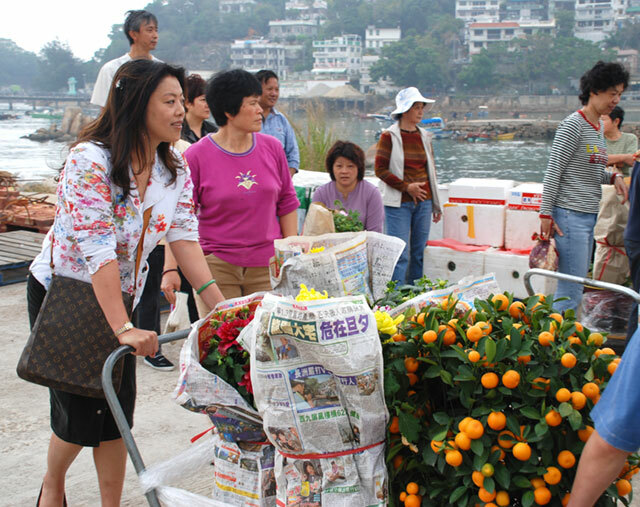 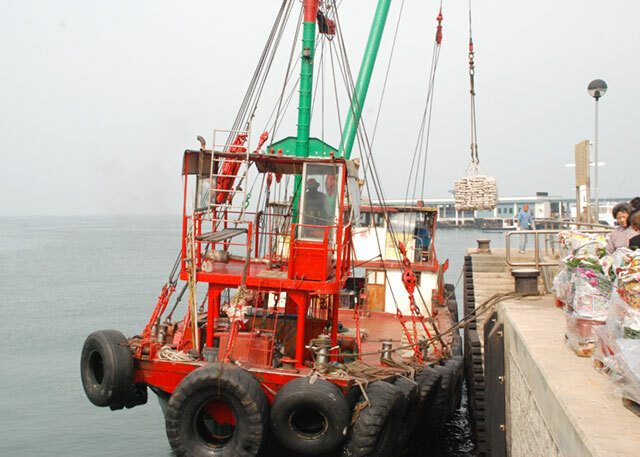 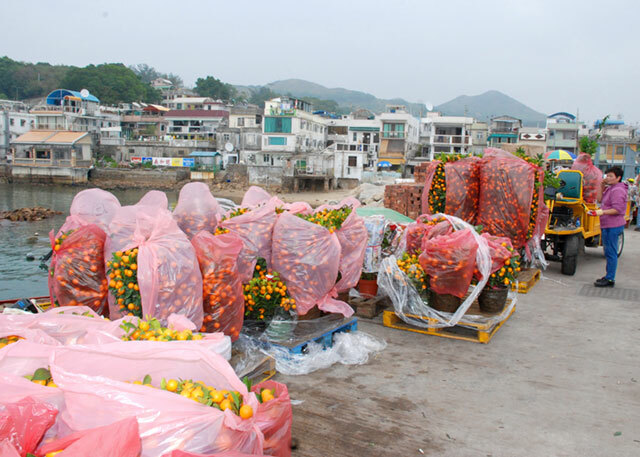 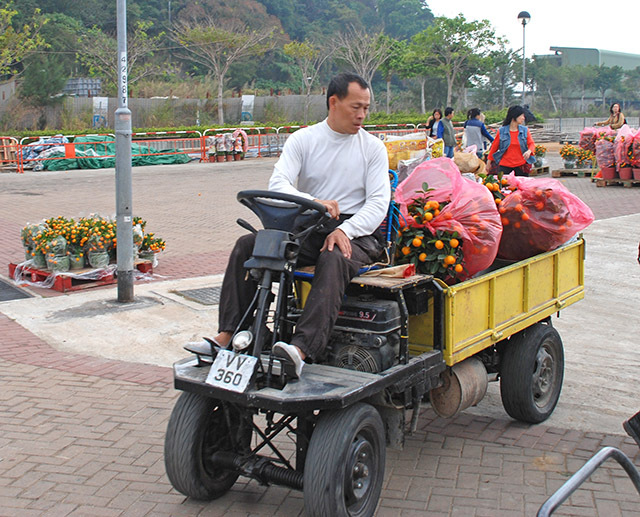 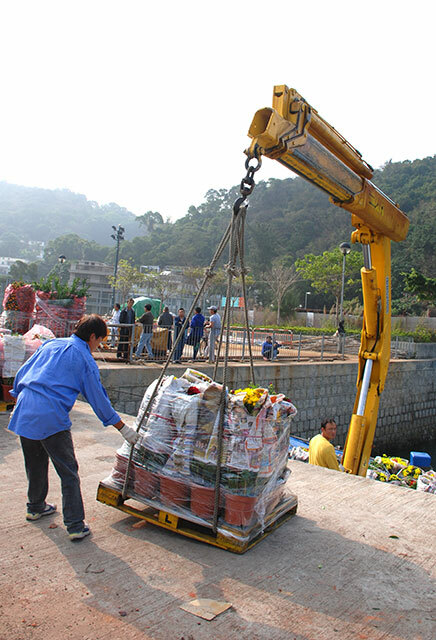 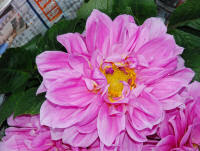 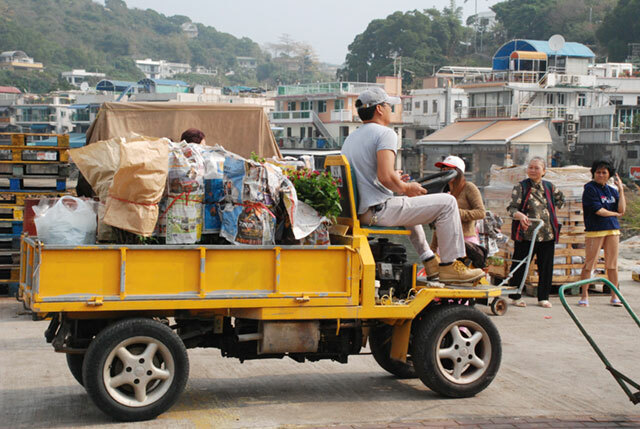 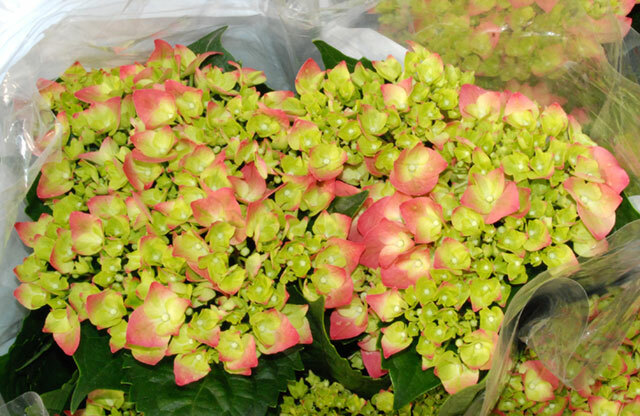 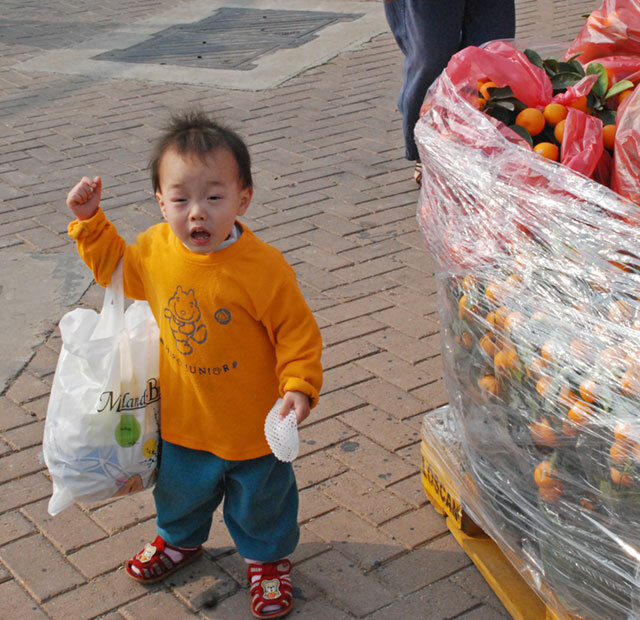 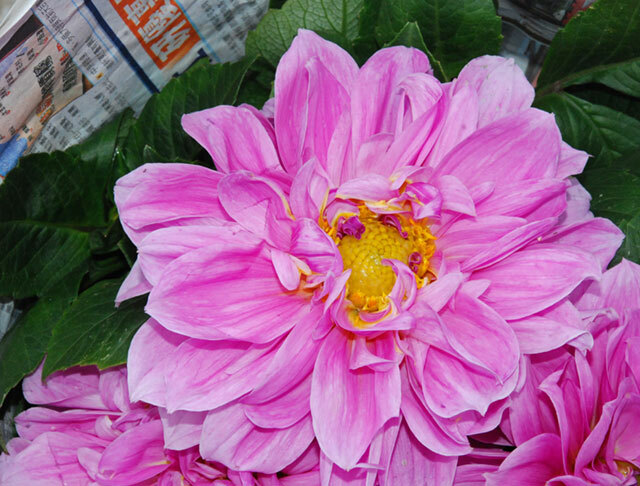 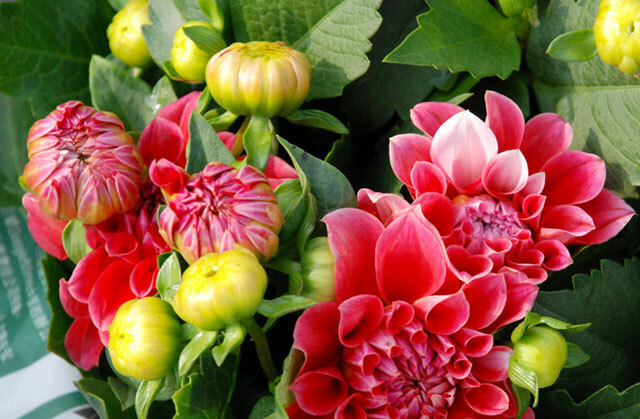 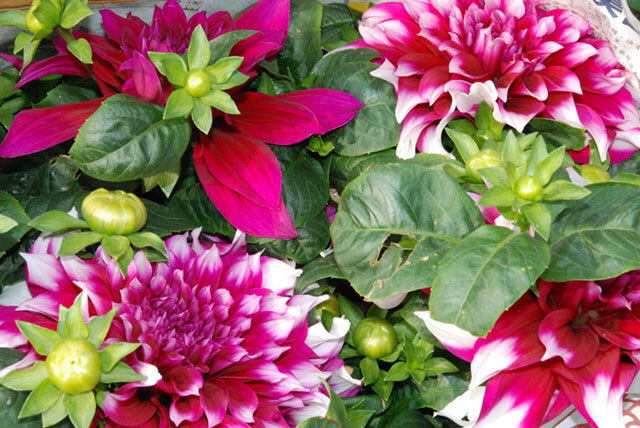 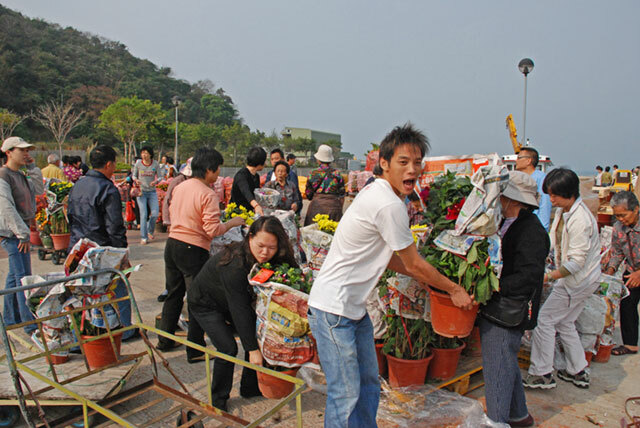 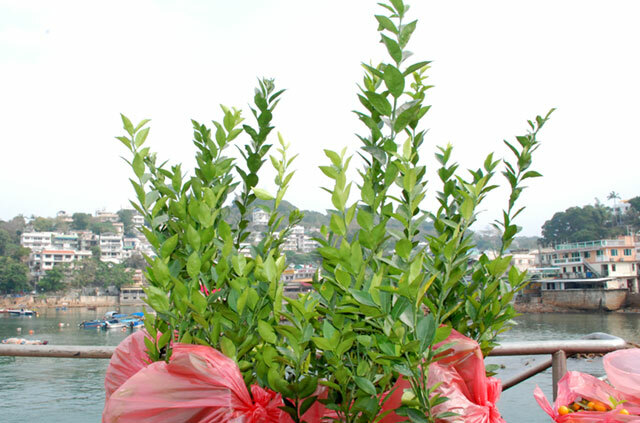 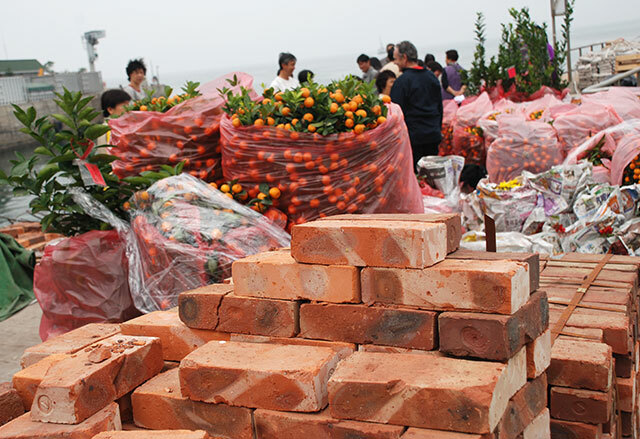 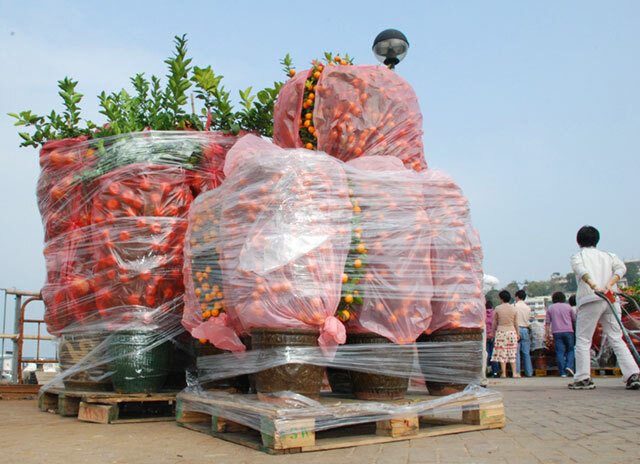 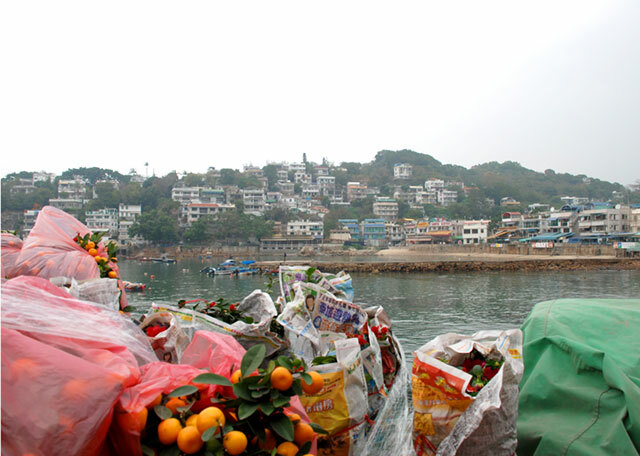 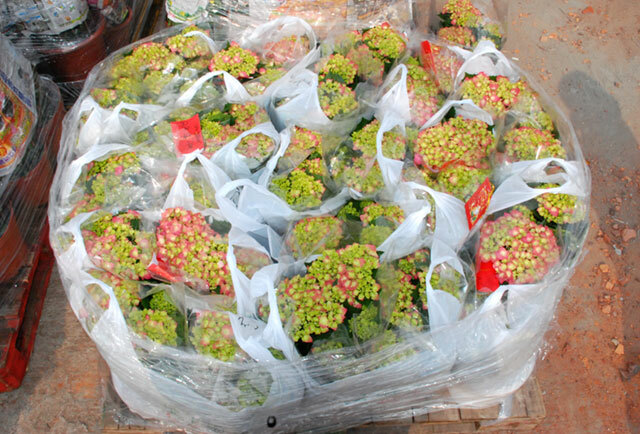 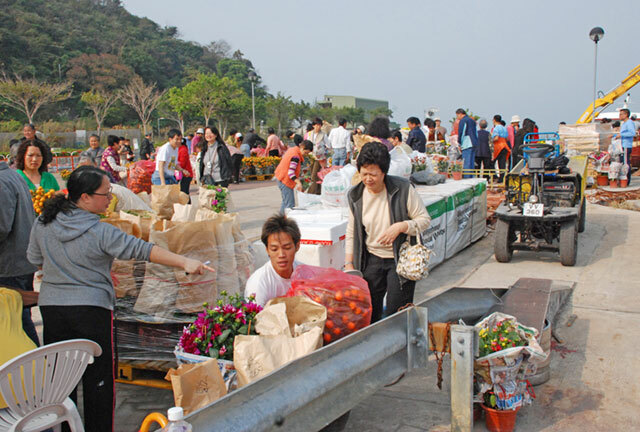 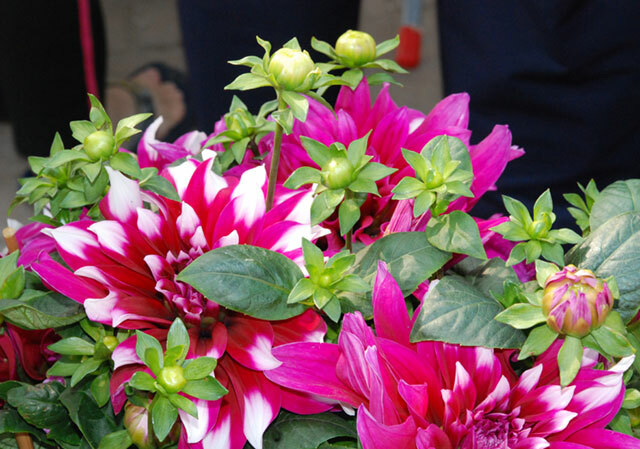 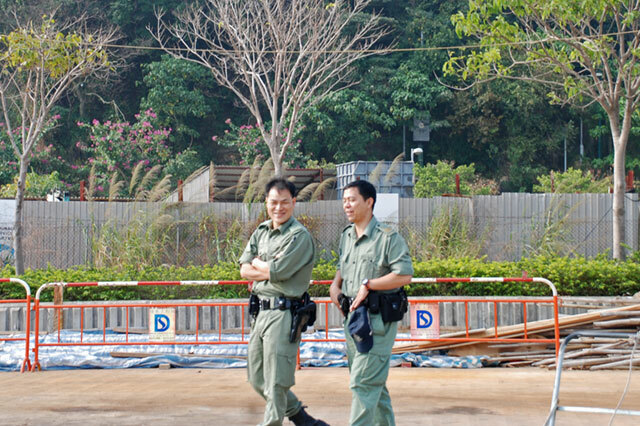 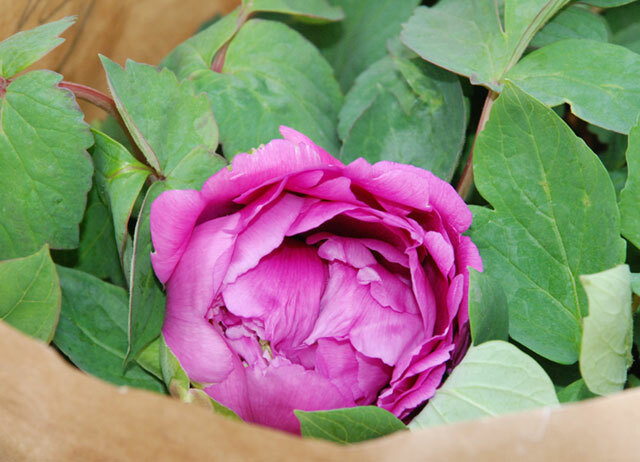 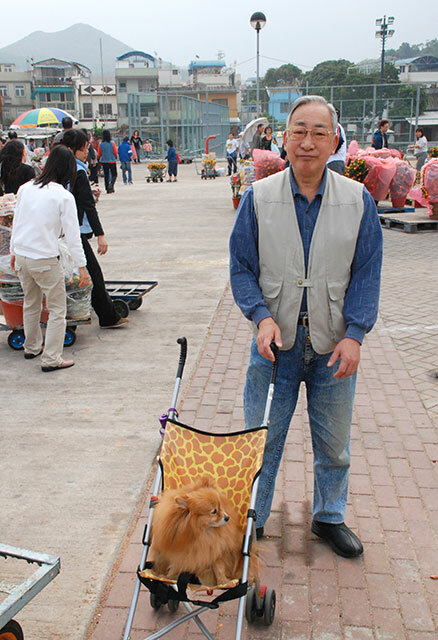 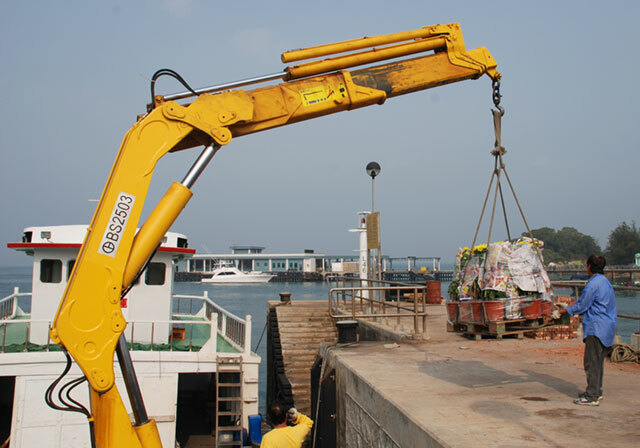 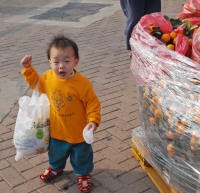 New Year flower market this morning, Feb 13, 10am on the new boat pier in the reclamation (opposite the Football Pitch). 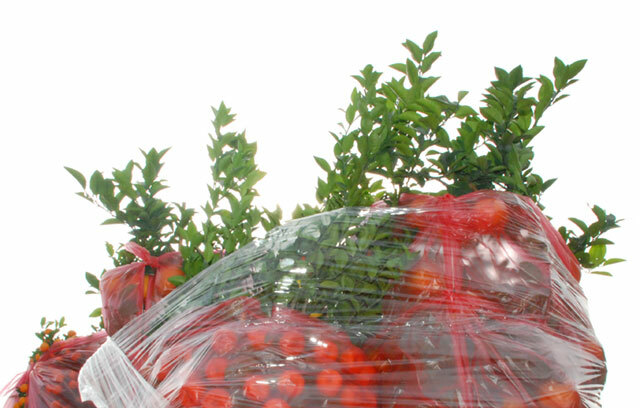 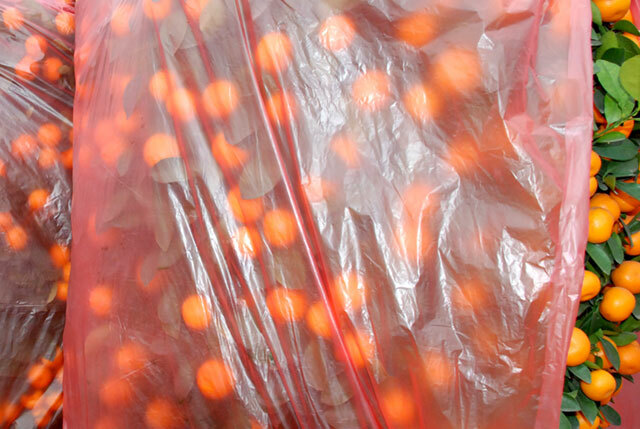 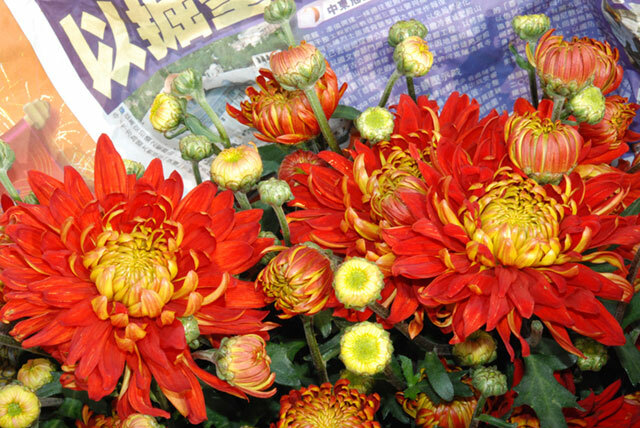 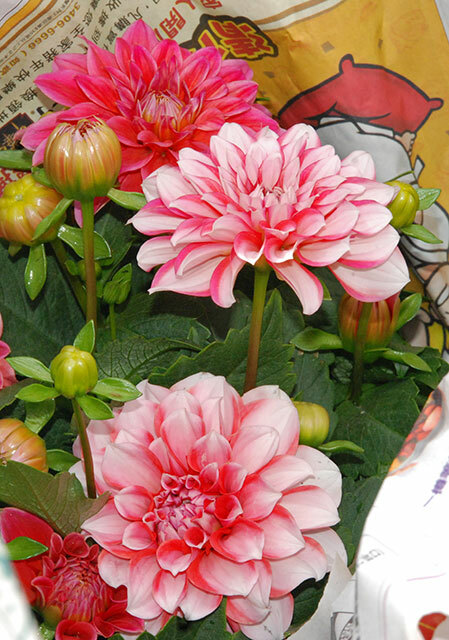 This low-key event - visited almost exclusively by locals - is the best, biggest and cheapest local opportunity to buy the all-important blooming flowers and plants to decorate your home or business for the Chinese New Year holidays next weekend (Feb 18-20). 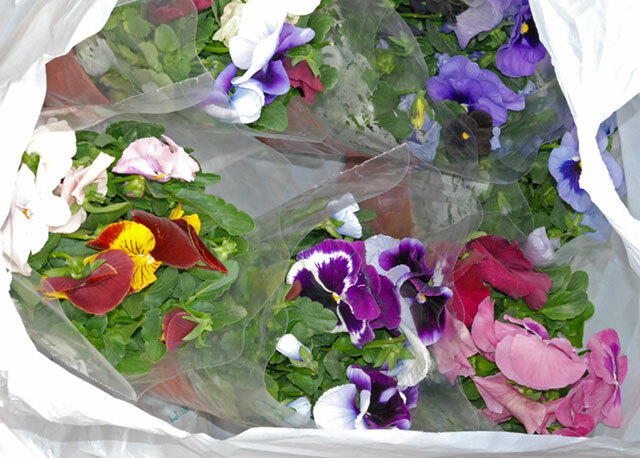 But you've got to arrive there early, as it has the feel of a "Grand Final Sale" and all the nicest plants are sold out within minutes or have been pre-booked! 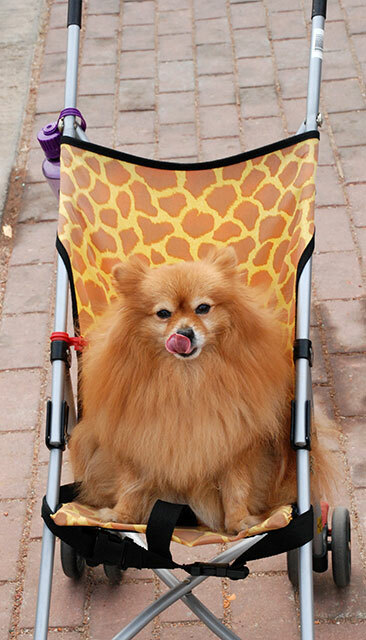 Got to run, it's 9am already right now!